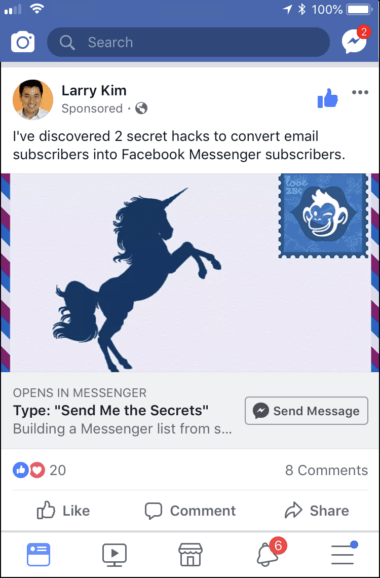 There’s this one weird trick you can do to totally revolutionize how you do Facebook ads. Not many people know about it, so it’s a huge opportunity to multiply your return on Facebook ad spend and drop your CPA. That’s 7x the ROAS of the lifetime account ROAS before the upgrade! 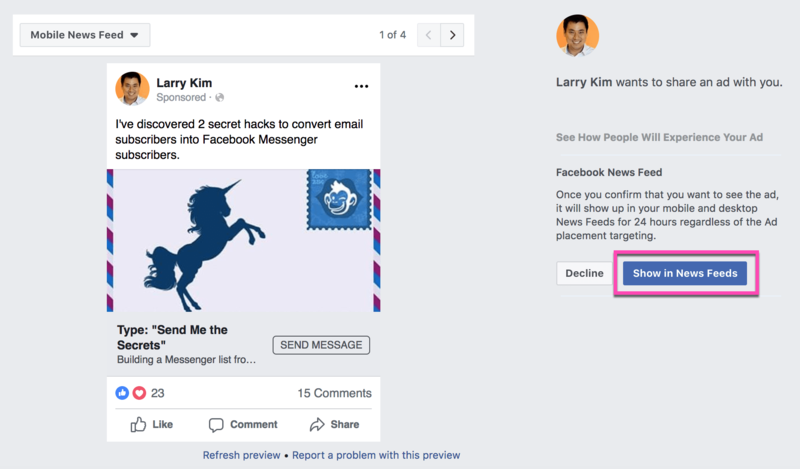 It’s the messages ad objective in Facebook. 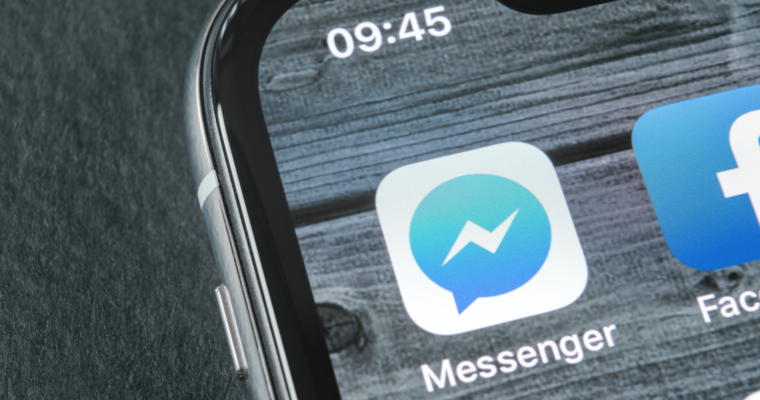 If you want to spend less for more, get more engagement, and follow-up contact info, Facebook click-to-Messenger ads are where it’s at. 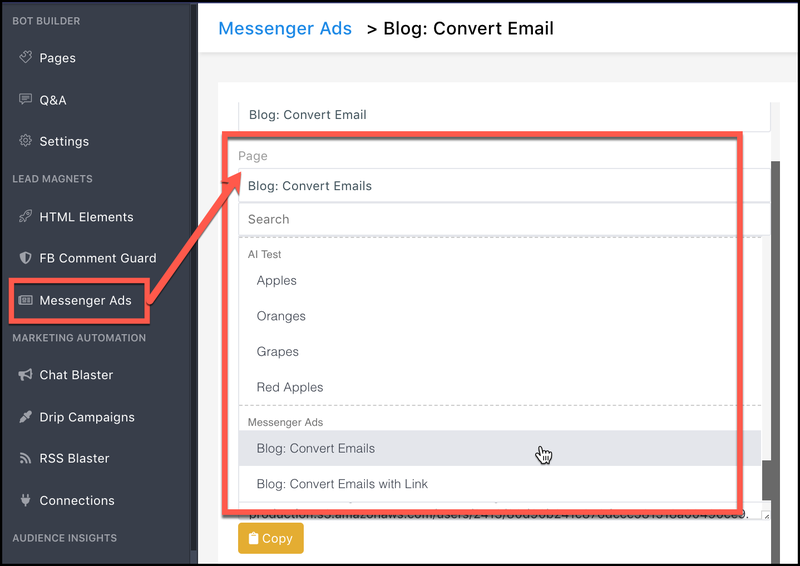 Along with more conversions at a lower cost-per-result, this ad type gives businesses customer contact info and the golden, unequaled opportunity to follow up with relevant offer and messages. 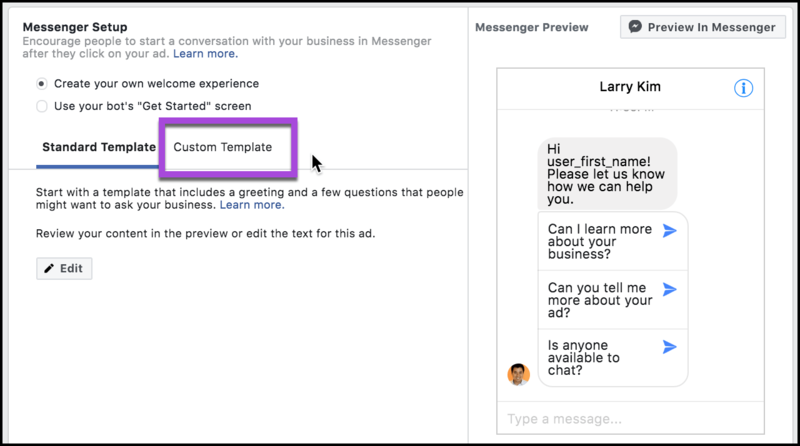 In an earlier column, I demonstrated how to build a free chatbot for lead gen.
Today we’ll add onto that tutorial by building a chatbot and then connecting it to a Facebook Messenger ad. 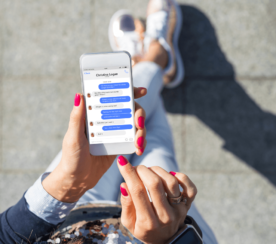 I created this sample Messenger ad chatbot using the free Facebook Messenger marketing platform MobileMonkey (disclosure: I work for MobileMonkey). 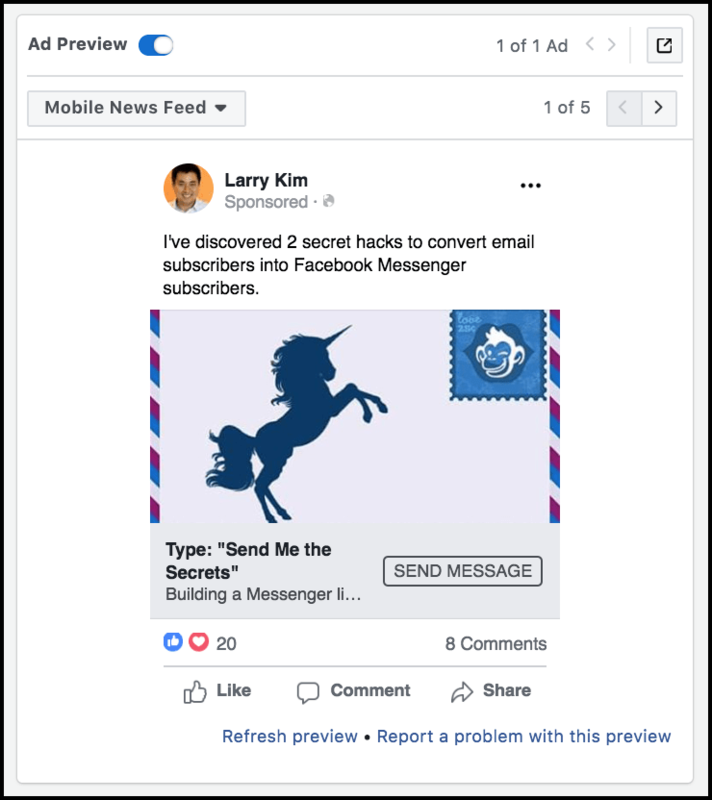 See this Messenger ad in your News Feed for 24 hours by clicking the “Show in News Feeds” button. 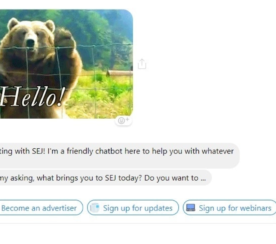 Click the “Send Message” button on the ad when you do see it to interact with the bot. In this ad, we’re promoting a blog post. 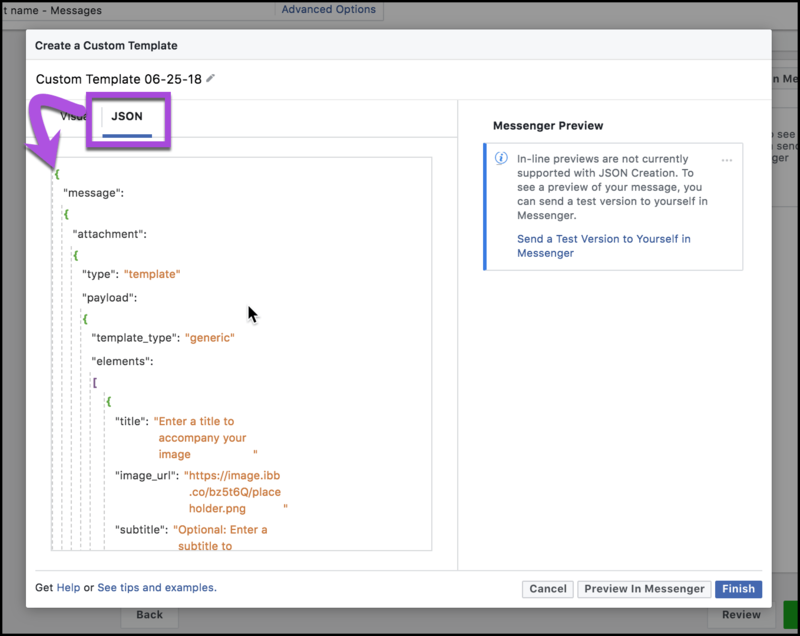 You can also promote a coupon, an offer, an event (e.g., a webinar) – anything you want in Messenger. Now let’s go behind the scenes to see how I created the ad and the results of this campaign. It’s a Facebook ad so you’ll want to carefully focus on your target audience. We see the best results with remarketing audiences. Obviously, when you’re talking to those who have already heard of you, engaged with your Facebook page or visited your website, if they’ve taken any of these actions, they’re already more interested in what you have to say, which will lead to higher CTR and more conversions. Now it’s time to create a chatbot. 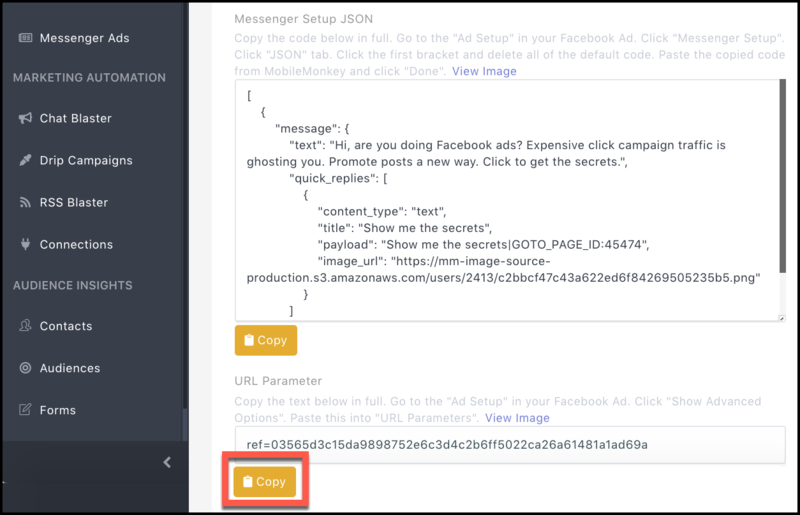 Using MobileMonkey, we made a chatbot in the chatbot builder that will start a conversation when someone clicks on the button “Send Message” from the ad. 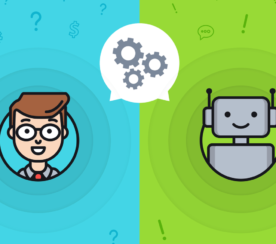 The chatbot’s first message should start the conversation with a prompt aimed at inspiring interaction. The first step is to add a Quick Question widget that has a button the user can click to respond. Whatever you’re offering in the ad, allow the user to confirm their interest in the offer by clicking a low-friction button. The button click is crucial because the rest of the conversation depends on their action. It triggers the next page. 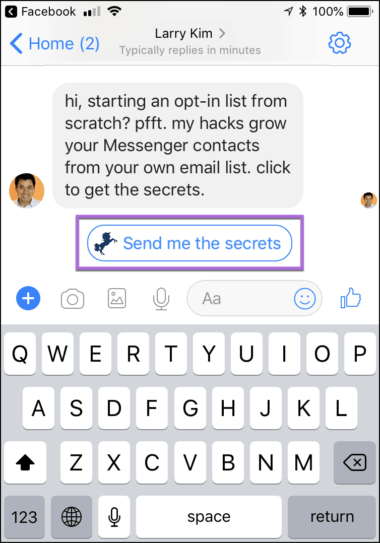 In addition, when users click the “Send me the secrets” button, MobileMonkey automatically saves a custom attribute to each contact. 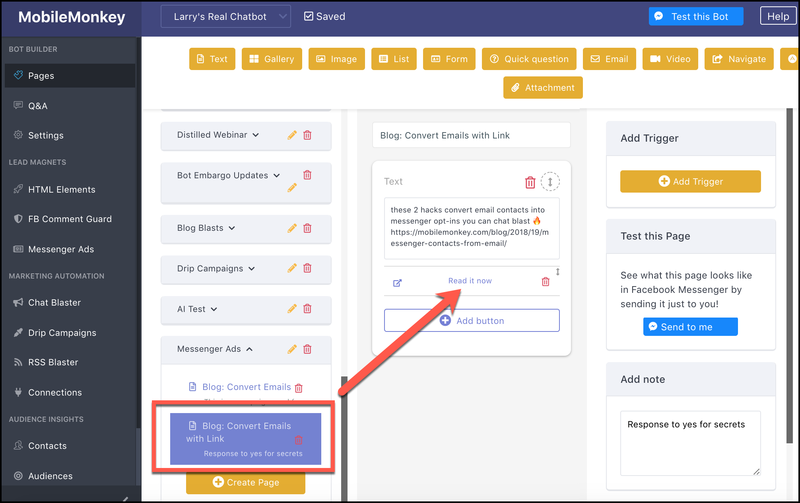 This enables the creation of a custom audience segment of this ad’s engagers that you can send follow-up messaging in the future. See the “Copy” button there? 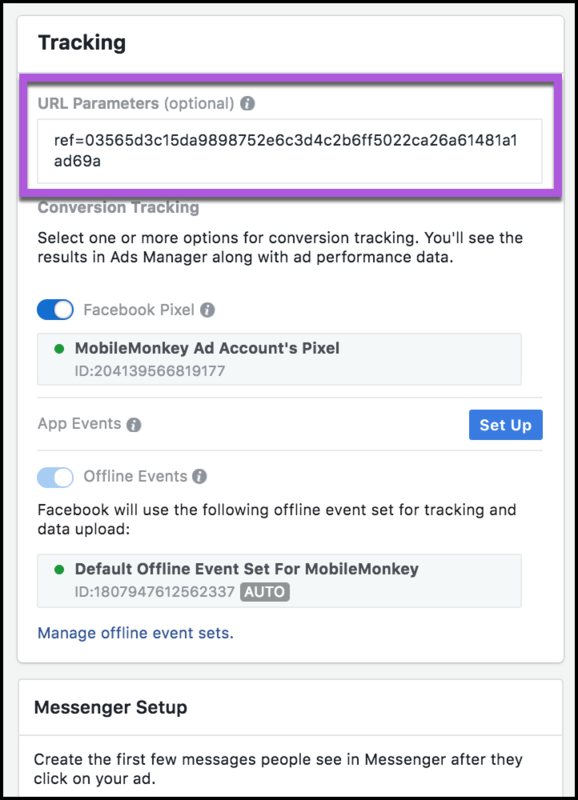 Select “copy” to save to your clipboard the code you’ll need to use within your Facebook ad. 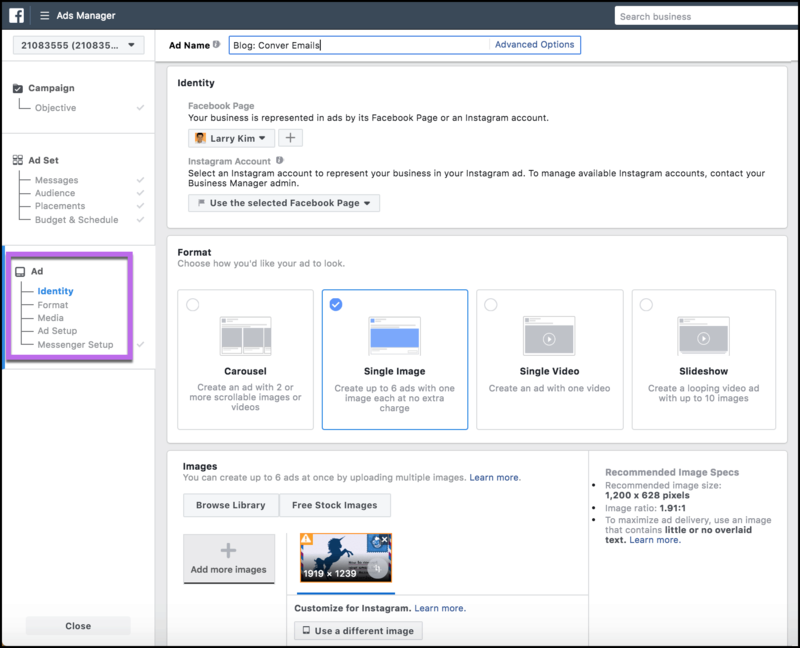 Back within Facebook Ads Manager, you’ll choose your Facebook page and ad format. We used the single image ad and uploaded the image for the ad. Check your work in Ad Preview. If everything looks correct, you’re good to go! 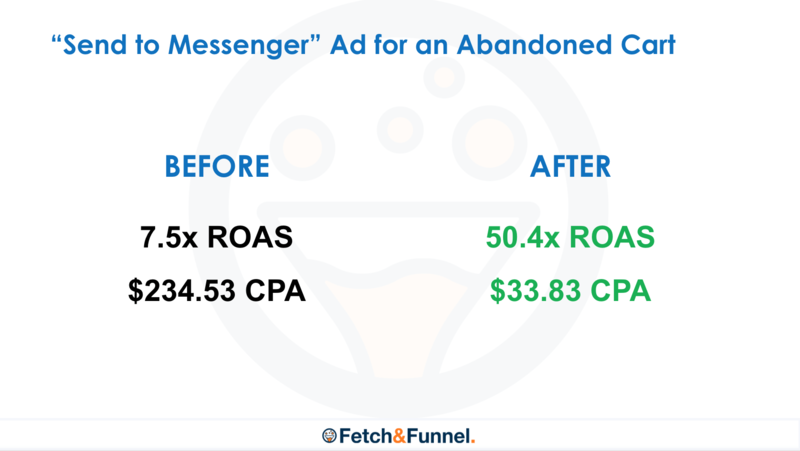 With a $130 budget, we were able to get 26 New Messaging Conversations, for a total of $2.59 per result. The same ad with the traffic objective would average about $5 or $6 per click. Moreover – and this is huge – we obtained the contact information of all the people who engaged with our ad. 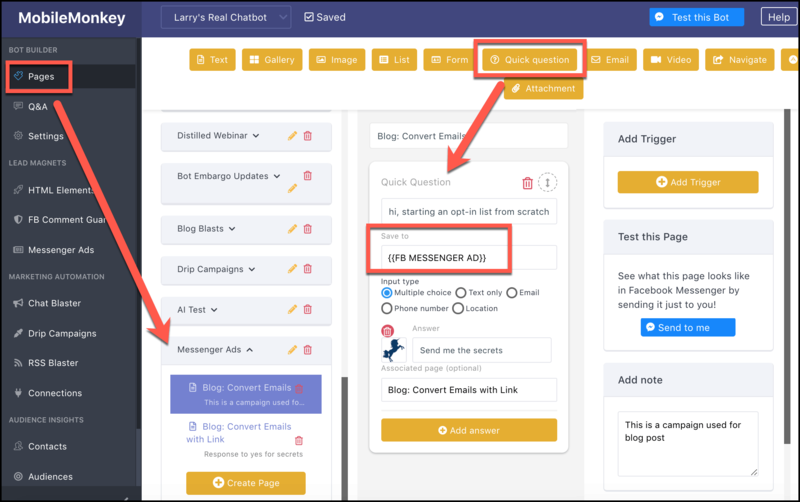 So, not only did we spend half the amount we would have on traditional Facebook ads, we also have the invaluable opportunity to follow up with our fresh contacts. No anonymous site traffic that leaves without a trace. To me, this is a no-brainer. 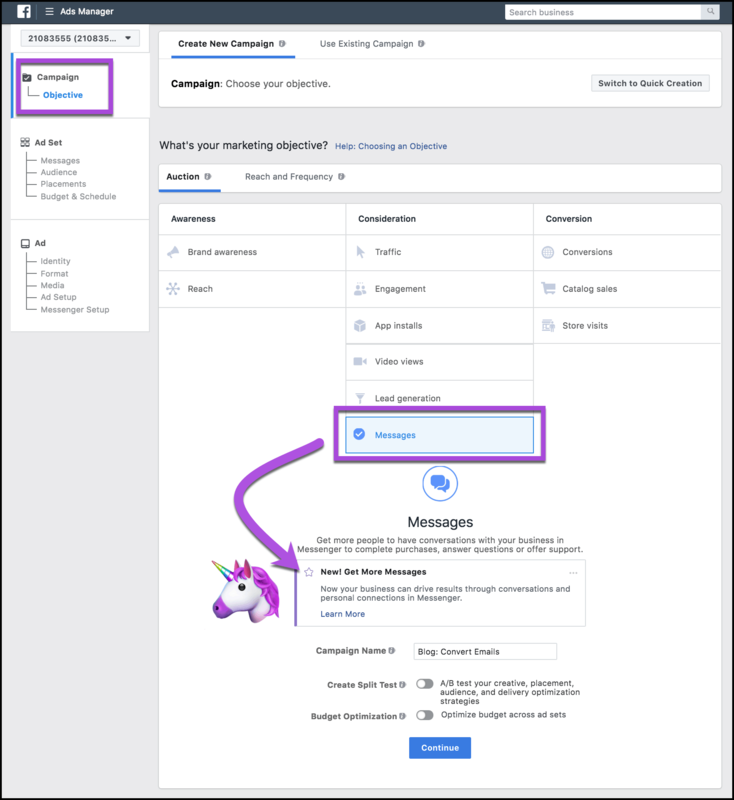 Click-to-Messenger ads deliver far better ROI, and we’ll be using the messages Facebook ad exclusively. The proof is in the results.